Kelva beach-sometimes also known as Kelva or Kelva beach is a pristine strech of sea shore and a popular weekend gateway for tourists from Mumbai. The beach is about 8 kilometers long. Although not a very famous tourist attraction, the beach is overcrowded with local tourists during weekends which indicate its growing popularity. 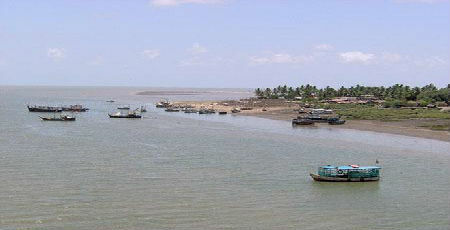 At a distance of around 9 kms from Virar railway station is a small coastal village called Arnala. Being a coastal village, majority of natives here are fishermen. 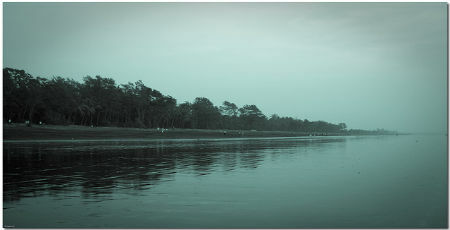 The Arnala Beach attracts a lot of tourists. The Suru trees on the southern end of the beach provide a cool shade for relaxing and picnicking. The sea is neither clean nor safe for swimming; one has to be very careful if tempted to venture in these waters. The beach also has its share of beach resorts. 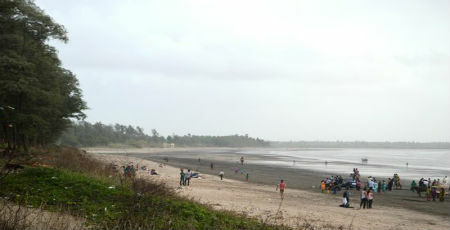 Dahanu Bordi Beach is located in Dahanu taluka of Palghar district. It is spread over a distance of 17 km. Not only for its extensive and tidy beach, Dahanu is also known for its vast chikoo fruit orchids.Although, it is quite warm during summer, the gentle breeze cools down the entire beach. Mecca of the Zoroastrians is a place, which is very popular amongst tourists as there is a magnificient temple, which houses the sacred fire of the Zoroastrians.It is belived that this fire has been kept alive for almost a thousand years. The existence of Iranian and Persian culture further makes this place more exotic.